If you are around California and you feel that you to get a life I suggest that you take a vacation leave and spend some time with your family and friends at the beach. The sea breeze will surely relax your senses and relieve your tired soul. Resorts in California are some of the best in the world. They have natural beauty and the climate is mild throughout the year. Another exciting thing about California is its free fishing on public piers. Many people are hooked on this activity. We’ll help you decide which one to visit by featuring the top and beautiful beaches including hotels in Southern and Northern California. These beach resorts are ideal for family get together and honeymoon. Santa Barbara: It has a rich Californian history and is situated between the coast and the mountains. Ventura: It has a fresh atmosphere and gorgeous harbor. You can find peace here because it’s not so crowded even during summer. 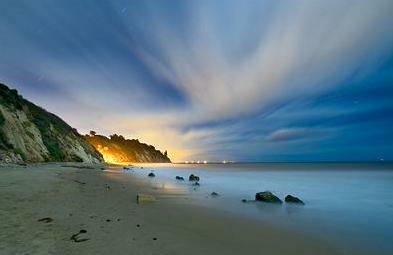 Malibu: This place has splendid beach houses and hilltop mansions. From the mansions, you can see the beauty of the place. 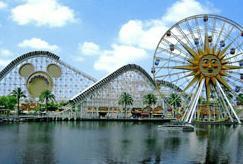 Santa Monica: You will surely enjoy its amusement pier and beach cottages. You can also have grand shopping here plus it is near to Hollywood, UCLA, LAX, and Beverly Hills. It’s like hitting many birds with one stone. Long Beach: This is an ideal place for those who seek adventures like boating. The place also has Little Naples and Queen Mary. Huntington Beach: It also known as Surf City so surfers will definitely love it! You can stay at Hilton hotel. Laguna Beach: It is full of good restaurants and art galleries that art lovers will surely enjoy. 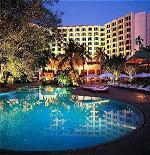 You will get pleasure from the facilities at Cliffs Marriot Resort which is an exclusive AAA four-diamond resort. If you are in the northern part, try the greatest beaches that it has which include Point Reyes, Presidio, and Marin Headlands Beaches. For honeymoon vacations, visit the website of honeymoon-vacation for a sandals all-inclusive resort in the Caribbean.